In our home it feels like feast or famine. We just did our big shopping trip for the month. Thanks Costco. Our fridge and freezer is so full, that I don’t want to disturb it by eating any of it. It was like a game of Tetris fitting all the food in. We will be prepared for most of the month, if not the summer for the base of our meals. The only food we will continue to buy will be milk, bread, fruits & vegetables. 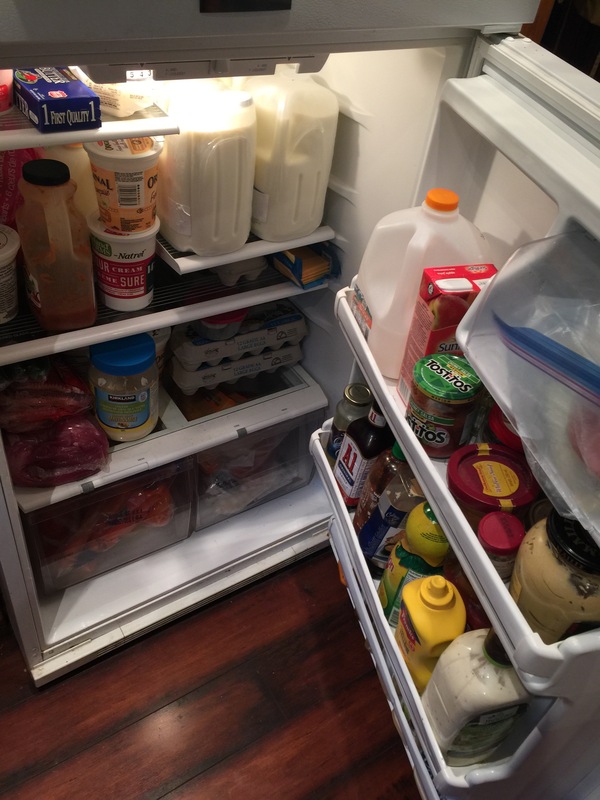 Two days ago, the fridge was so empty that all we had was condiments and a can of beer. It was like living the bachelor lifestyle all over again. Except that we didn’t have Mr. Noodles in our cupboards. Having three kids home during the summer means they graze. Snacking is common place, but they also pig out during dinner. The biggest hurdle is to make sure that we only buy healthy(ish) snacks. Fresh fruit vs “fruit snacks” or water vs colas. It’s not really a difficult battle if we don’t buy the junk food. However… I love potato chips and ginger ale. Buttered popcorn and deep fried cheese sticks. Fried eggs and ham inside a grilled cheese. I love unhealthy foods. I do eat vegetables, fruits and yogurt, etc. and 5 out of 7 days we eat a balanced diet. But my go-to is salty junk food. Wrapped in bacon. Deep fried. With a side of ranch.